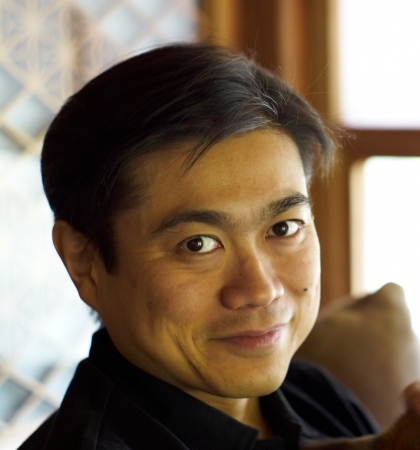 MIT's Media Lab has announced that Joichi Ito will be its new director. Many on the Internet are raising their glasses with rowdy cheers. In choosing Joi, the Media Lab has made a daring, inspired, energizing, and one might even say subversive move. It's particularly remarkable because Joi hasn't actually gotten around to graduating from college yet. Instead, he's been wasting his time as a DJ, ISP CEO, search engine CEO, angel investor and venture capitalist (think: Flickr, Six Apart, Last.fm, Kongregate, Kickstarter, and Twitter), CEO of Creative Commons, and board member at ICANN, Mozilla, WITNESS, Public Knowledge, and Global Voices. Most importantly, Joi is a deeply ethical soul who devotes vast (and uncompensated) energy to improving the world he inhabits -- provoking and sustaining entrepreneurship and innovation, particularly outside Silicon Valley; building communities of common interest across national, cultural, linguistic, generational, and class frontiers; and tending loyally to his circle of friends around the world. (Or, in the case of Joi's World of Warcraft guild, doing all of that at once.) Joi combines raw brainpower with tireless energy, boundless curiosity, fearless introspection, and serendipitous creativity, all alloyed together atop his foundational commitment to values like openness, integrity, liberty, community, and the transformative, democratizing power of technology. The celebratory outpouring over Joi's new appointment is a testament to his many good works, his great character, and to the Media Lab's laudable ambition, courage, and great good sense. It's so unusual -- and so bracing -- to see an institution of long standing, particularly an academic center, boldly embrace risk and invite creative disruption. Congratulations, Joi & Media Lab!